1. 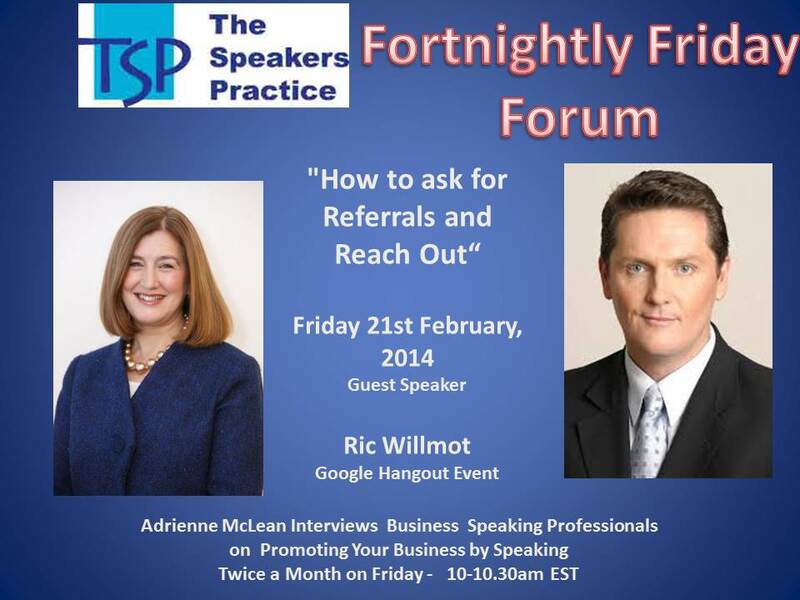 Asking for referrals – why is this an essential marketing tool? 2. 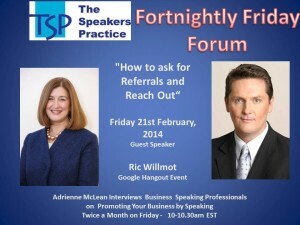 For the business person, asking for the referral – it can be a bit awkward – how can this process be made easier? 3. Reaching out to new clients, new potential business who are not familiar with us can equally be daunting – how can we identify these potential client? 4. How can we successfully get their attention and have them understand our offering? Sending an email just wont do it – what is the best approach? 5. I ask all our guests this – As a Business Coach, Authorr and a Professional speaker , what is your advice about promoting your business by speaking? Previous Previous post: Building Public Speaking Skills has Benefits beyond the Podium!